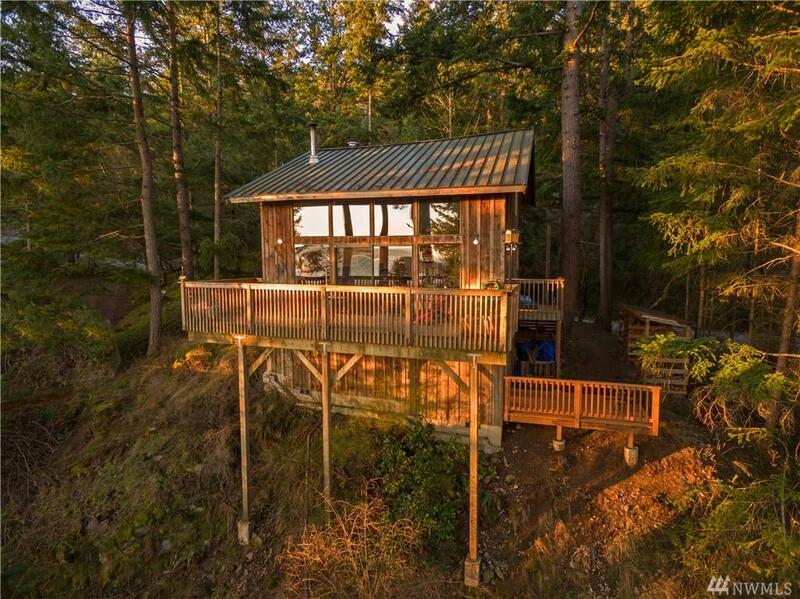 Lovely two bedroom cabin with outstanding views of Hales Passage, Portage Island and Bellingham Bay. 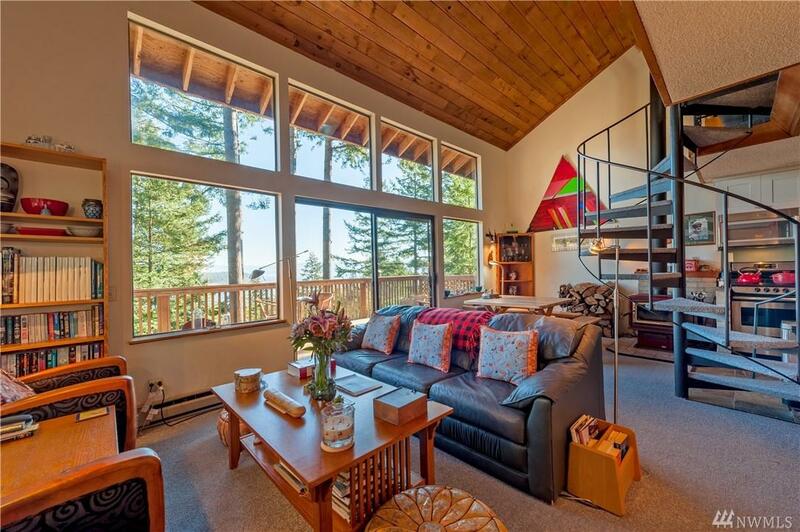 Gorgeous light and vaulted ceilings create an open feel with a birds eye view. 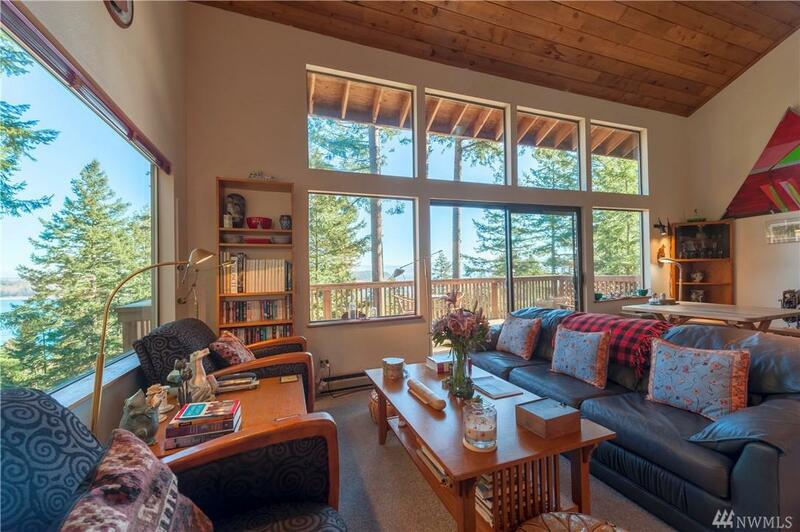 Perched in the midst of evergreens with private decks and fantastic indoor-outdoor flow, you will love being able to soak up the peace of all that the nature presents here. 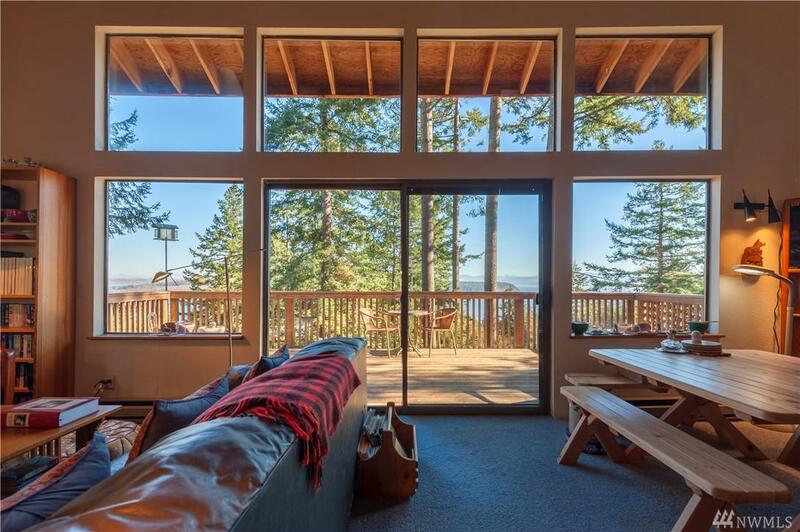 One bedroom on the main, a full lofted bedroom with views, updated kitchen and bathroom. Ownership inc. salt water boat launch + swimming lake.